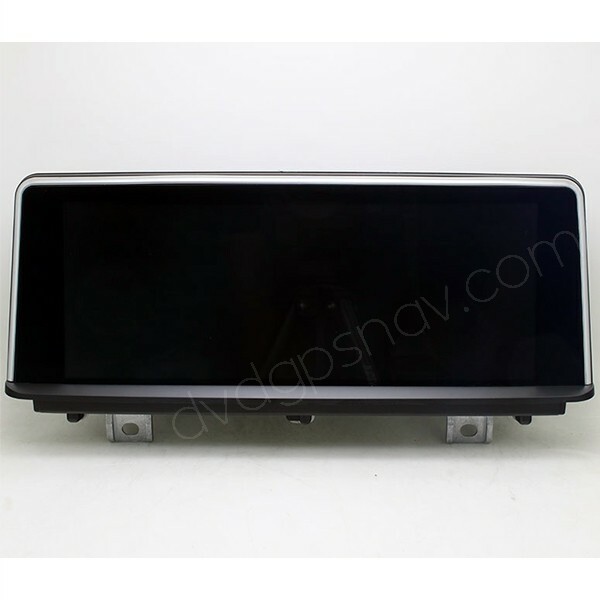 This aftermarket head unit is special for BMW F30, F31, F34, F35, F80 including models BMW 328i, BMW 316i, BMW 318i, BMW 320i, BMW 330i, BMW 335i, BMW 316d, BMW 318d, BMW 320d, BMW 325d, BMW 328d, BMW 330d, BMW 335d, etc. There are 3 styles of UI available: NBT, EVO, ID6. The UI can be easily set in factory setttings. FREE Gift: 8GB SD card with GPS maps available worldwide! New Version: Android 7.1 system, 32GB+2GB available now. 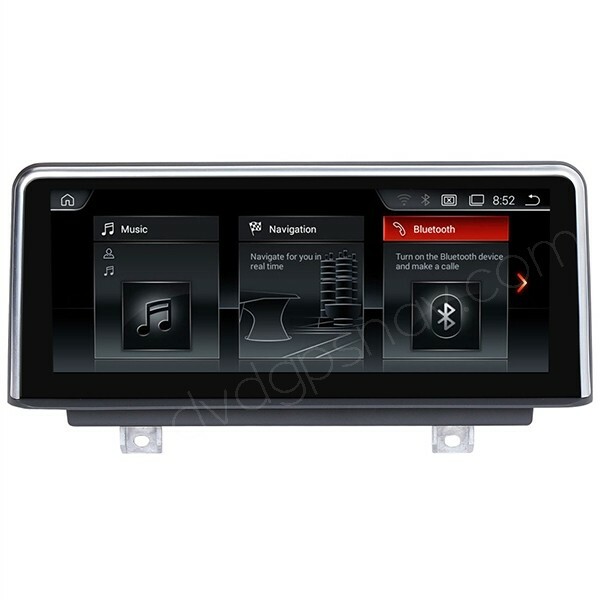 This aftermarket Android head unit is special for BMW F30, F31, F34, F35, F80 including models BMW 328i, BMW 316i, BMW 318i, BMW 320i, BMW 330i, BMW 335i, BMW 316d, BMW 318d, BMW 320d, BMW 325d, BMW 328d, BMW 330d, BMW 335d, etc. 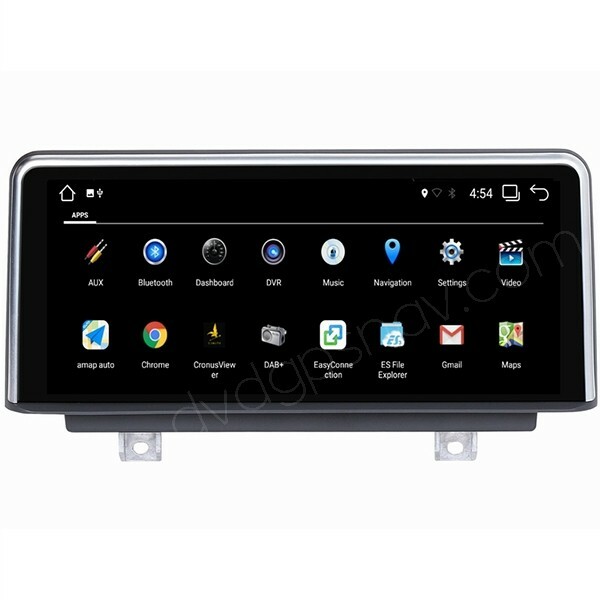 Inbuilt 10.25 inch large HD capacitive screen, 1280*480 resolution, navigation GPS system, WiFi, Bluetooth hands free phone calls function, Bluetooth streaming music, Mirror-link, USB, this BMW F30 navigation Android head unit is a great replacement of factory screen, if you want to upgrade the factory BMW F30 screen with a larger one, this Android BMW F30 screen is your best choice. You can still use factory idrive controls to control factory menus which can also be displayed on the new large screen, the new menus are touch screen operation, besides, you can keep using the factory car radio system and CD player. Q: CAN I ADD THE GPS NAVIGATION SYSTEM ON MY BMW 2014 320i f30? A: You can upgrade the factory screen with this new 10.25" Android screen replacement, so there's GPS navigation system built-in, and we will install GPS maps for your country so navigation is ready to use once installed the F30 Android head unit in the car. Q: Will this fit a 2014 328i? A: Yes, it fits BMW 328i 2014 year. Q: I have a 2013 F30 328i that currently does not have GPS. First, is this unit compatible and second, will my cd/radio and idrive button still function in the same manner? 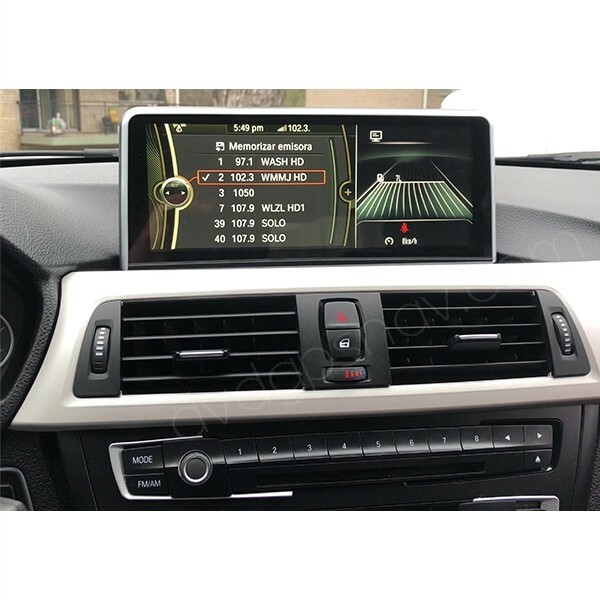 A: Yes, this Android head unit is compatible with your 2013 BMW F30 328i. Your cd/radio and idrive button still function the same as before after installation. 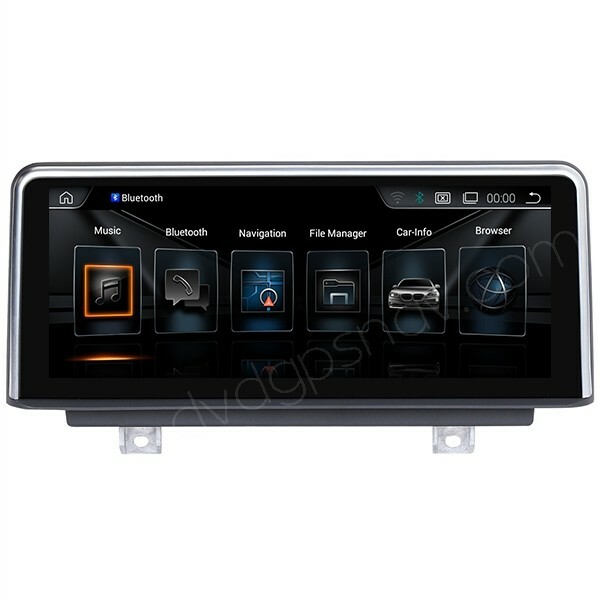 Q: I am looking for an Android Navigation system which is can work in /compatible with my BMW F30 320D 2015. A: This BMW F30 Android navigation system is compatible with your 2015 BMW F30 320D. Q: Will this work on a bmw 2014 without the touch pad idrive system? A: You can send a dashboard picture for us to check for you. A: Orders will be shipped directly from our factory in China. As for custom fees, if you have any request for us to do you can contact us. 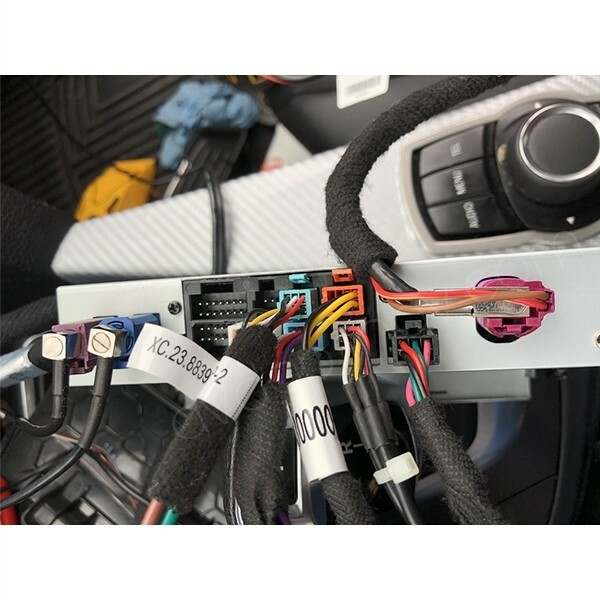 Q: Hi, I have a 2015 320i F30 in the UK, with a 7inch monitor and was wondering if the navigation with this unit replaces the factory fitted? Also, does this allow Video playback through screen mirroring (Android and/or IOS? Do you provide installation tools / insutrcutions with the product? Thanks. Q: Hello, Is this Android head unit compatible with my 2014 BMW 320i? My current head unit is with 7" screen. If so, will I still be able to also receive service notifications? A: Hi, this BMW F30 navigation Android head unit fits your 2014 BMW 320i, please make sure your car has working aux function, because the sound transfers to car speakers through factory aux mode. 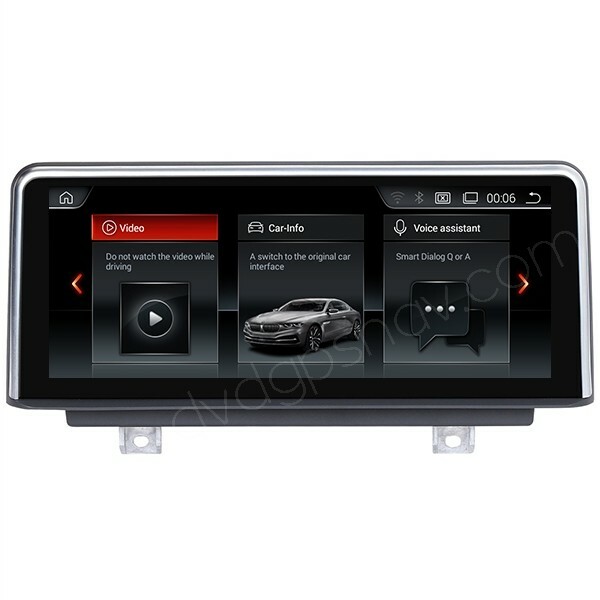 This new BMW F30 screen unit can also display factory menus, you can switch between old menu and new menu, and it does not change factory function, so your service notifications can still work after installation of this new unit.